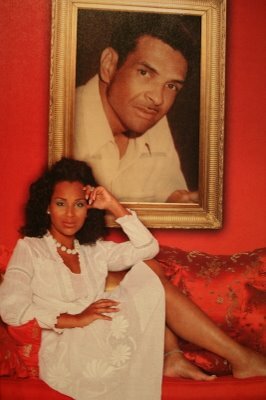 David McCoy (pictured in a framed photo in the above pic of Lisa Raye) was found shot to death on November 12, 1988 in the back seat of his Cadillac, which was parked in a Southside Chicago alley. He was 52 years old. McCoy's then 32 year old live-in girlfriend of 10 years, Sheila Daniels, and her then 20 year old brother, Tyrone, were convicted of McCoy's murder in 1990. Sheila was slapped with an 80 year sentence and Tyrone was hit with 60 years.